“thousands of children”? Where did you get that number? Just wondering. Per the Williams Institute, about 0.7% of high school students may be transgendered. 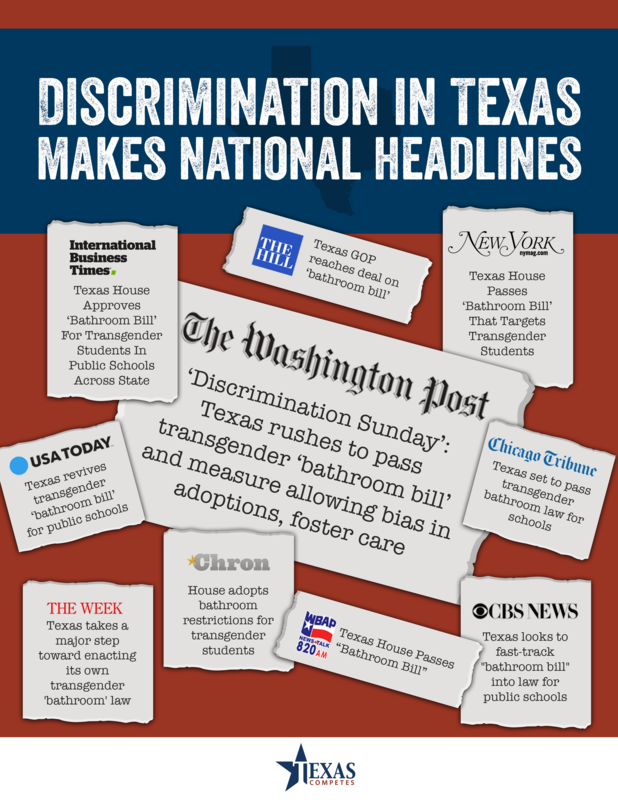 There are about 1,500,000 public high school students in Texas and if my math is correct 0.7% of them would work out to about 16,000 transgendered students in Texas high schools. Looks like they are attaching a stronger version to a county government bill by Garnett Coleman who has said he’s willing to let his bill in the House die rather than advance it with the Senate amendment. this will all be declared unconstitutional eventually … but sadly not before a few more kids commit suicide. I’m looking at that UCLA link. Anecdotally, I don’t remember close to one in a hundred of my fellow high school and college students being transgender back in the day. Looking back, I can see how a few of them turned out gay and not being surprised, but that .7% does seem way high, if we are differentiating “transgender” from garden variety gay. But then again, maybe Infowars is right, the atrazine is turning the frogs gay, and making kids transgender as well. I was a band geek. We all pretty much knew the boy who wanted to be on the flag team was light in the loafers. I’m sure there were a few in the drama club as well, but I can’t think of anyone, HS or college that claimed they were the other gender. Again, just my anecdotal experience. i have to assume bill daniels is *trying* to offend. newsflash, bill, anyone who uses terms like “light in the loafers” is probably not on anyone’s speed dial for outing themselves. it could be you have no idea what you are talking about, n’est ce pas? I wasn’t aware of any transgender children during my Public School Career. Saying things like they were not around when I went to school makes no sense. I never saw a Black man go to a KKK rally at night and yell at them that they were racists, does that mean that no Black person didn’t believe that the KKK was’t racist? I am sure there were transgender persons then but they were smart enough to keep it hidden.